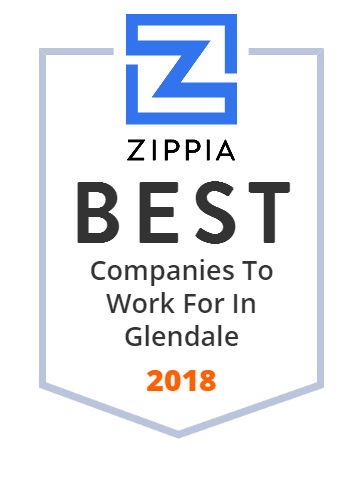 We hand-curated a list of the best companies to work for headquartered in and around Glendale, AZ using data on salaries, company financial health, and employee diversity. A field service management software by MobileLogix, SmartField is designed to increase productivity and service revenue for your mobile workforce. Arrowhead Cadillac is one of the largest dealers of new and used luxury cars in America. They provide auto repair, oil change, battery checking, brake installation and vent replacement services, to name a few. They have less than 50 employees and have $10M - $100M revenue per year. This business has been in the industry for over two decades. On Site Satellite is an authorized DISH Network Retailer offering programming and TV packages to customers in Glendale, AZ. The company also has a team of skilled and reliable pros that provide home theater installation services. For more than 25 years, Century 21 Northwest Realty has been helping people acquire and sell their homes. This business has the power to help people buy or sell your home as part of the largest residential real estate sales organization in the world with more than 6,600 offices and 110,000 real estate professionals in more than 30 countries and territories. Founded in 1911, Glendale Union High School District has been serving the communities of Phoenix and Glendale and encompasses 60 square miles. This institution comprised of nine high schools, grades 9-12, the urban district enrolls 15,700 students and has approximately 150,000 constituents. All schools are accredited by the Arizona Department of Education, North Central Association of Schools and Colleges (NCA CASI) and AdvancEd. Bio-Janitorial Services was founded by Mr. Oliver Ibeh in 1990, has experienced consistent, steady growth since its inception. This business has well-trained and loyal staff of over 200. They provide carpet cleaning, window washing, construction cleanup, hard surface maintenance, parking lot sweeping solutions, and more. They work on commercial, residential, industrial and institutional properties. Swanson Group Inc., along with its subsidiaries, is engaged in manufacturing, marketing, and selling forest products for residential and industrial applications. It offers various wood products, including Doug Fir dimension lumber products, structural plywood panels and specialty plywood products, veneer and residual products, and green and dry studs. The company also engages in various facets of heavy-lift helicopter operations on a worldwide basis with missions ranging from heli-logging and environmental thinning to wildland firefighting and construction lift operations under various conditions. It offers its products to dealers and builders primarily in the West Coast. Swanson Group Inc. was formerly known as Superior Lumber Co. and changed its name to Swanson Group Inc. in December 2001. The company was founded in 1951 and is based in Glendale, Oregon. National Pump Company is an ISO-certified facility that manufactures vertical turbine barge pumps for residential, commercial, and residential applications. The company also has pros who are experienced in handling industrial pump repair and refurbishing projects. The company was established in 1969. Now, you can find National Pump brand throughout the world, in a variety of applications. Relax and let the stress melt away with a variety of skin, massage and facial services to leave you feeling relaxed, happy and beautiful. Ace Building Maintenance has been providing quality cleaning solutions for 39 years. This business is recognized as one of the largenst facility service providers and a leader in green cleaning solutions. They offer cleaning services for over 100 diverse property management companies. They have less than $5M yearly revenue and is a member of Better Business Bureau.